In the competitive vitamin & nutraceutical market your labels need to work hard to attract the attention of health conscious and busy consumers. 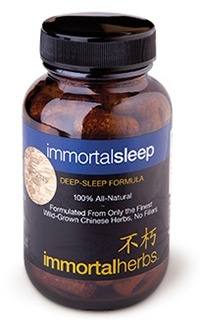 We frequently apply a high level of customization and creativity to vitamin supplement & nutraceutical projects, and enjoy the challenge of printing highly detailed and attractive labels for this dynamic market. With extensive experience with nutraceutical requirements for materials and adhesives, we are an ideal choice for vitamin supplement producers. Our self-adhesive label solutions offer the highest quality and availability of eye-catching special finishes to set your health and wellness products apart from the crowd. Our capabilities allow you to add special finishing and embellishments to your dietary labels, such as foil, embossing, and varnish options designed to give your labels a powerful advantage on crowded store shelves. Exclusively from Advanced Labels, our Simply Textured™ film label solution is available to vitamin supplement brands looking to stand out on the shelf in a unique way. Choose from 8 unique textures in any color to create a stunning richly textured vitamin label. 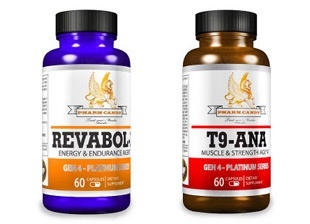 At Advanced Labels NW we print attention grabbing, high quality self-adhesive supplement labels designed to represent your vitamin & nutraceutical brand at retail, and survive the rigors of transport, storage, and consumer use. Our Seattle area facility utilizes finest flexographic and top of the line digital printing presses to produce custom vitamin & nutraceutical label products to exacting standards for quality, consistency and accuracy. Whether you require vibrant color labels with fine vignettes, super opaque white ink on clear material, or decorative foil stamping, Advanced Labels has the expertise and creative capabilities to make your brand stand out from the rest. We work with private label companies, co-packers, wholesale suppliers, trade printers, and of course retail health & wellness companies. We offer small to medium quantity and multi-sku vitamin & nutraceutical labels with our digital printing equipment – all without any plate prep charges. 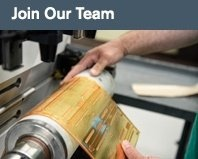 Or we can provide you with large quantities with our flexographic label capabilities. We provide affordable alternatives and more choices for your specific supplement needs – without sacrificing the outstanding quality, consistency and on time delivery your brand packaging requires. 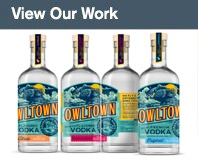 Our talented label product design team can assist you with your artwork and nutrition label design requests. Our knowledgeable label specialists will guide you through the appropriate label material and label adhesive choices. We offer a wide range of materials, films, foils, papers and adhesives for every application, as well as varnishes and film laminates for ultimate label protection. If you need to add additional information or language translations to your nutritional supplement labels, we offer an Extend-a-Label product, with up to 3X the space for added content. 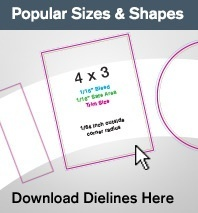 Or consider our Extended Content Booklet vitamin label (shown below) to add up to 6X the amount of information – without increasing your label size. Contact us today for more information on how we can help you differentiate your vitamin supplements from the competition. 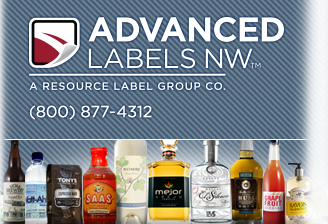 Advanced Labels has the skill, expertise, and capabilities to meet all of your label printing needs. Set yourself apart on the shelf and enlist Advanced Labels to produce a winning vitamin label for your product. Get started today and contact one of our knowledgeable customer service team members for a label quote or to request free samples. Click here to see our Product Gallery.